The boy who at four-years-old had proclaimed to his parents: "When I am a man I mean to be a missionary and go to China," found that faith was a challenge eleven years after that oddly insightful declaration. When James Hudson Taylor was fifteen he was blessed with significant social skills and a variety of friends. Because of this, he was a popular boy and found himself drawn toward living a life that best enabled him to enjoy the pleasures of youth and social success. In other words, James abandoned the faith of his parents so that he might not be weighed down in his pursuit of momentary pleasure by the faith's teachings and callings. So, he took a job at a bank as a junior clerk and found it enjoyable and lucrative. James spent time with his friends and learned a life focused solely on himself and how he could best serve his own wants and needs. His father--a Methodist preacher--and his mother prayed constantly for his conversion. They hoped that James would find the emptiness that rested underneath his vain pursuits and they prayed that he would then seek the life of a disciple of Jesus. Even as their prayers seemed to go unanswered, they continued because their love for James was great and their faith in God's goodness was greater still. When James was seventeen he was an avid reader of a variety of different books. One day, he went to the library of his father to find something new to read. At the same time, his mother was nearly seventy-five miles away visiting friends of the family. While she was resting in her room she had a sudden and inescapable compulsion to stop and pray for James. She felt God directing her to pray for her son's conversion with passion and intensity at that very moment. As she was praying, James was drawing a book down from his father's shelf that was entitled "It Is Finished." The line of the Gospels referenced in the title of that book was familiar to James but its meaning eluded him nonetheless. So, he decided to read about what the book called "The Finished work of Christ." While his mother prayed for his soul some seventy-five miles away, James felt his heart changing within him and he suddenly realized the answer to what was finished on Calvary so many years before. In one brief, shining moment James could see that the great work of a supremely loving God had been finished in one, powerful instant of redemptive mercy and grace. When his mother returned, James hoped to surprise her with the story of his conversion but she assured him that she already knew what he had to say because God had allowed her to have a beautiful and prayerful part in it. James did something amazing and lived into the life of missionary service in China that he had foretold at the age of four. Over the course of fifty-one years of missionary service in the nation of China, James was instrumental in bringing about the conversion of the countless Chinese people whom he had learned to love.One of the things that made James so different from other missionaries to China was his insistence of bringing only the Gospel and not British culture with him. He adopted the clothing and style of dress of the Chinese as he hoped to minister to them.Further, he even adopted the hairstyle of the Chinese and did his best to assimilate into their culture instead of expecting them to assimilate into his because of their conversion to a faith that transcended nationality and race. James founded the missionary group known as China Inland Mission. Because of James' involvement in mission work in China, there were over 800 missionaries that came to join the good work. They began 125 schools to help educate the Chinese people and meet their specific needs.James and the missionaries that followed after him were directly connected to over 18,000 conversions to the Christian faith that he had spurned as a young man and regained alone in his father's library with only a book and the prayers of his mother. 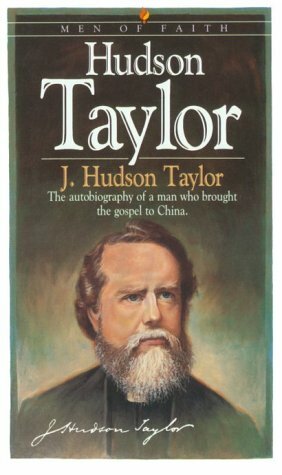 The China Inland Mission and James Hudson Taylor reached out to all eighteen Chinese provinces to change the shape of the faith of a nation. James Hudson Taylor died on the 3rd day of June in the year 1905.